Hey, adults of a certain age. Do you like to color? This is Sandra Tsing Loh with the Loh Down on Science saying, coloring books! They’re not just for kids anymore. Coloring books aren’t just for kids anymore. Adults claim they help reduce stress and improve well-being. But how effective are they compared to traditional art therapy? So wondered a research team from Drexel University. They had about thirty people between twenty and seventy years old participate in two separate exercises. In one study, people simply colored in pre-drawn patterns. An art therapist was in the room but made no interaction. In the other exercise, an art therapist actively ran an open studio session. Here, participants could make any form of art they wished. And the therapist provided guidance when needed. People’s moods were surveyed before and after each session. Results? Stress levels and bad feelings were lower after both sessions. But the open studio therapy WENT FURTHER! Participants felt improvement in personal growth and relationships. And support from the art therapist led to self-empowerment, creativity, and positive mood. 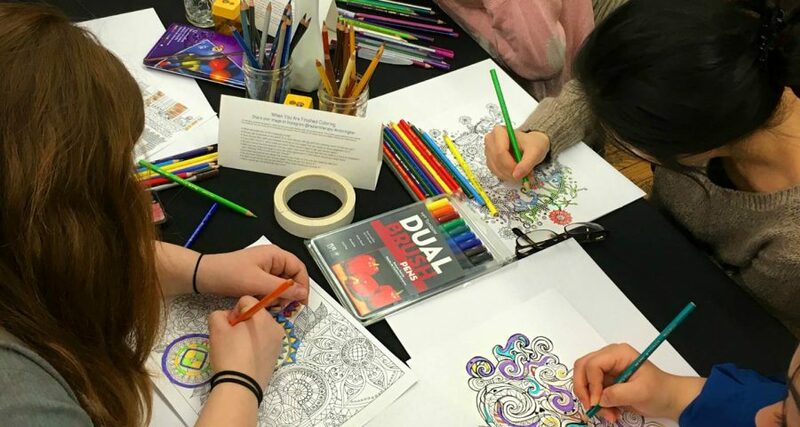 So, coloring books may not be the same as art therapy. But hey, it keeps me, quote unquote, inside the lines!